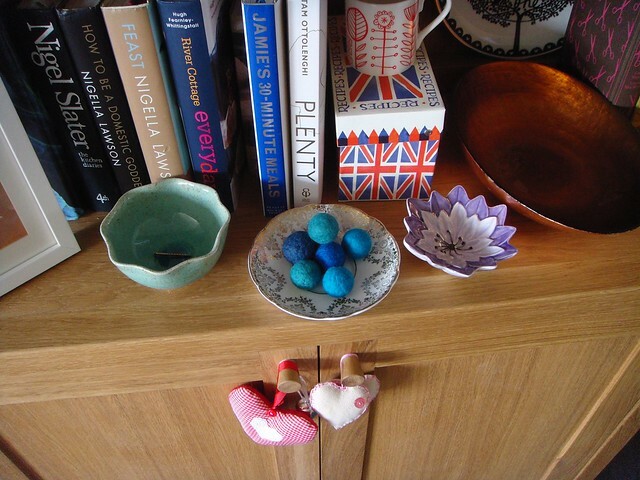 Well here it is at last, week 8’s project: wet felted balls. 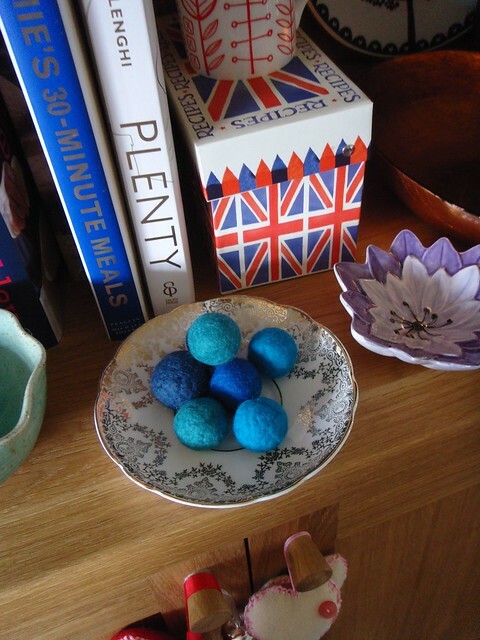 As an introduction to wet felting, making balls is ideal. You only need wool roving, liquid soap/washing-up-liquid, water and your hands. 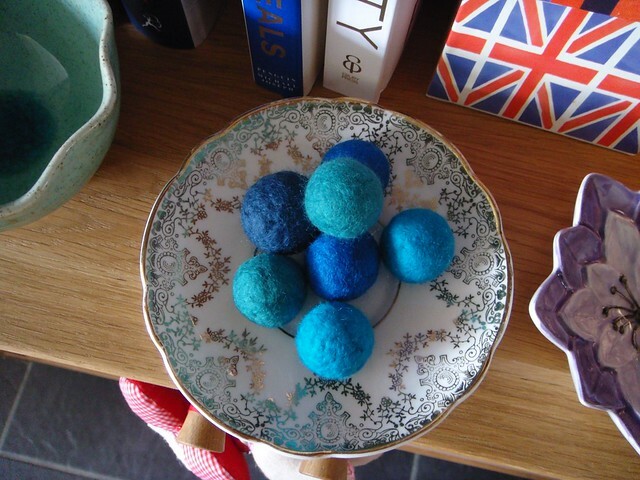 I followed the instructions on Mossy and soon had a pleasing pile of round, blue, felted balls. Now I just need to decide what to do with them, any ideas? Show me your fibre projects for month 2 – I’ll do a roundup this week of them all. You can comment here, on Twitter (using the hashtag #52crafts52weeks), or upload it to Facebook or Flickr. Or you can add it via the link tool below. Flashback: week 8 in year 1 was all about origami! I can’t tell how big the balls are (oh dear, bad choice of phrasing there! ), but could they be beads?